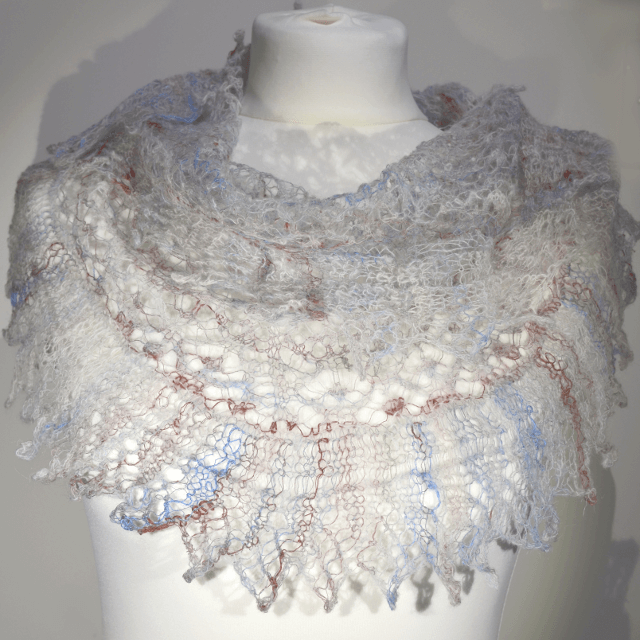 These delicate-looking cobweb scarves are designed using traditional lace stitches to create a light and airy accessory. 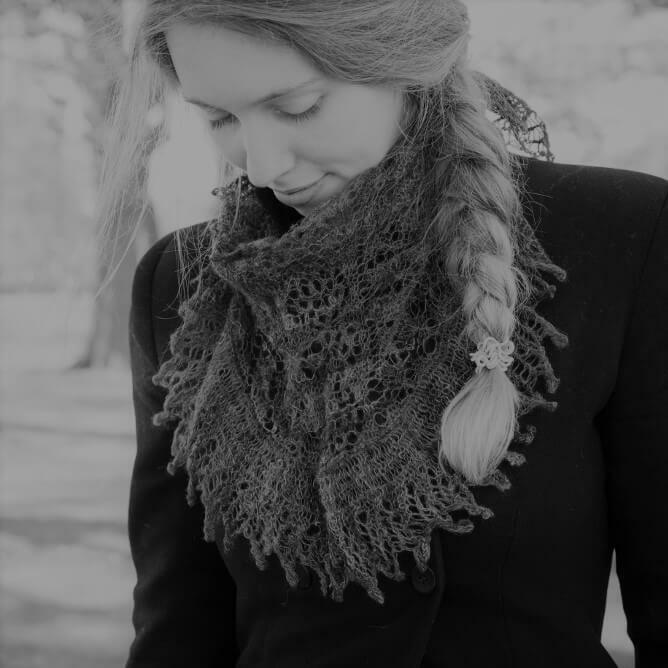 These delicate-looking cobweb scarves are designed using traditional lace stitches to create a light and airy accessory to any outfit, to be worn with pleasure for years to come. 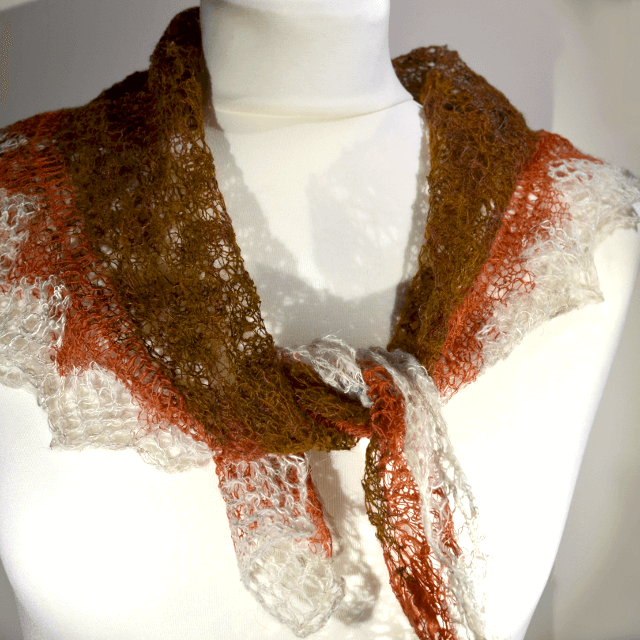 Silk blended with the wool brings the colours to life, adding strength to the softness of the wool. 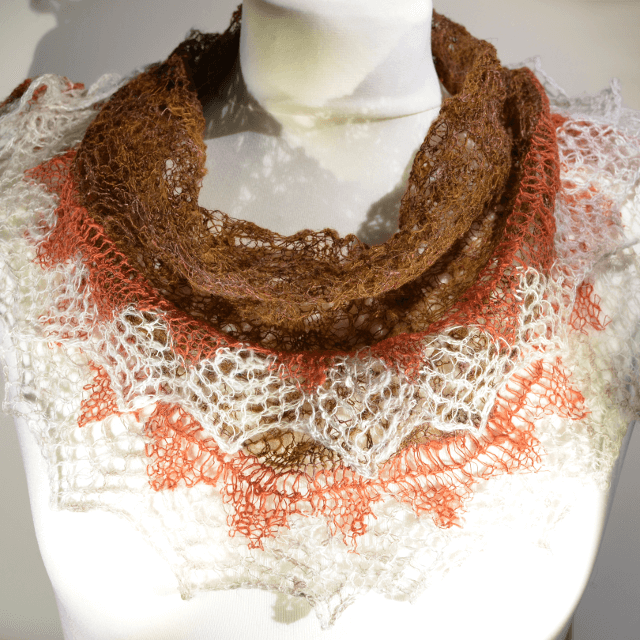 They are leaf-shaped, making them very versatile. 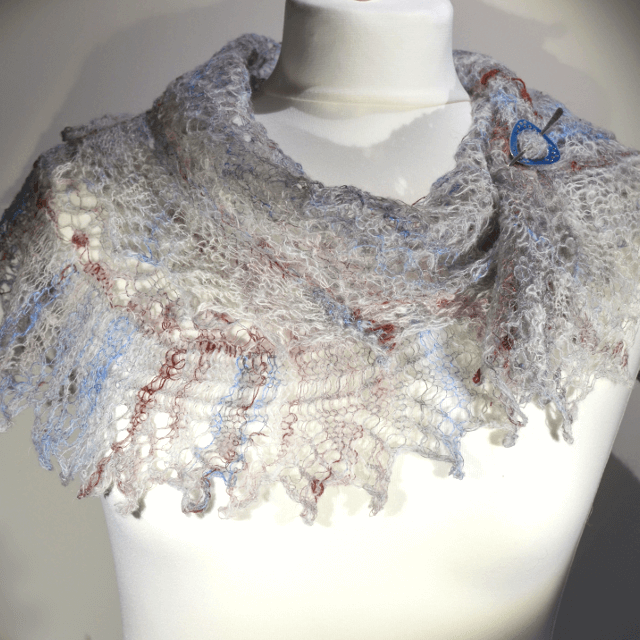 The colours for this cobweb leaf scarf were inspired by the wee robin that visits my garden on a regular basis. 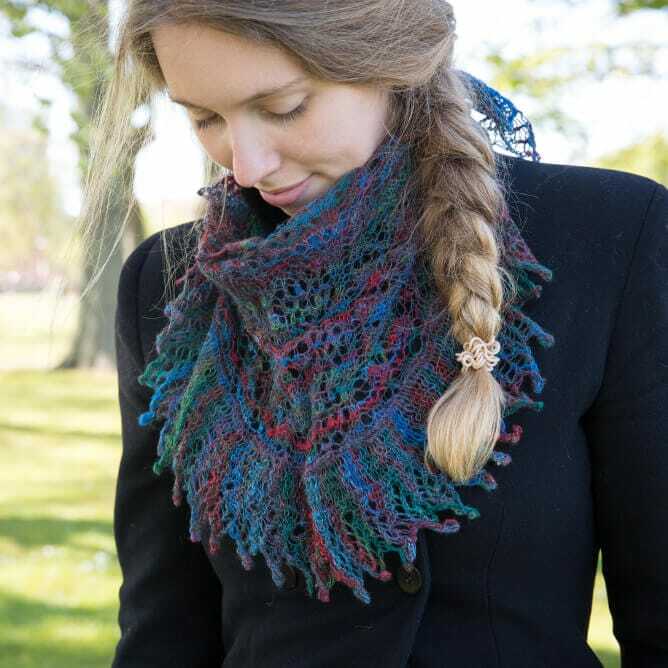 The yarn is a blend of wool and silk, making it very light and the shape means it can be worn in a variety of ways, making it good in summer or winter.